Fat Bruce Lee and I popped into MIRU8691 for a lunch meeting on a weekday afternoon. Ordinarily, we wouldn't visit the same place 3 times in a 5 months (actually, I've taken Happy Meal there, too), but MIRU8691 had become our go-to spot for amazing burgers. It only seems right that once we found the best burger in LA, that we'd partake of it frequently. What I have found refreshing and fascinating about this place is that Chef Miru Jung has been almost relentless in taking a damn good burger and elevating it to something beyond description. With each visit the burgers have improved....dramatically. What started as an excellent burger, which was knocking on Umami Burger's door, became a burger that left Umami Burger well behind. MIRU8691 did not deliver a comfort food burger...it delivered a burger that challenged the senses. I've always meant to eat half (to avoid death by cholesterol), but I have never been able to put my burger down. Keep in mind that MIRU8691 served ridiculously fresh, inventive, and delicious sushi rolls, too. Calvin Jung runs the sushi bar, and cooking excellence runs in that family's genes. Calvin's rolls were simply great. You should try the Calvin Fries--it was spicy tuna on spiral cut fries, and it was delicious. Having had the plain (CLT) cheeseburger on numerous visits, I decided to try a burger with all of the toppings. I already knew that the plain cheeseburger offering was as good as it got. I tried the OG Burger, and it was nearly exhausting in its depth of flavor and complexity. It was like eating a rave. The initial rush of harmonious Eastern and Western flavors left me grinning. Just as the initial shock of the "chili" and other toppings subsided, the seasoned Kobe beef kicked in. Previously, this had provided a subtle, rich, and satisfying beef flavor. On this last visit it delivered a suckerpunch of beef flavor as a sustained and powerful end note to each bite. While I am not ordinarily a fan of messy burgers, I was happily licking my fingers to get more of that flavor. Chef Jung--a savant with technique and spice. The "chili" topping contained neither beans nor meat, yet it delivered the creamy, hearty, satisfying (nearly guilty) essence of Original Tommy's chili. Chef Jung shared with me the chili making process, and it was an all day affair just to make that topping. It employed ingredients that were far from traditional, and it involved a painstaking cooking process. It was this attention to detail on an ingredient used on only one of the 10+ burgers on the menu that propelled MIRU8691 into a league of its own. The fries...I couldn't figure out the end note in the fries to save my life. 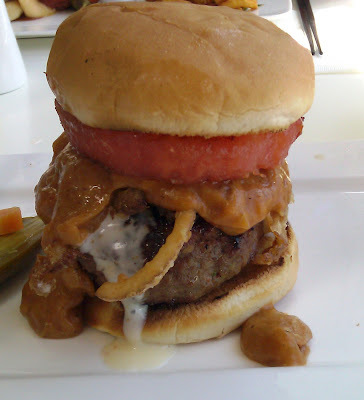 It was like a classed-up version of the end note in the Umami Burger ketchup. That ketchup had a "Chinese take-out" flavor to it, which had always been interesting. 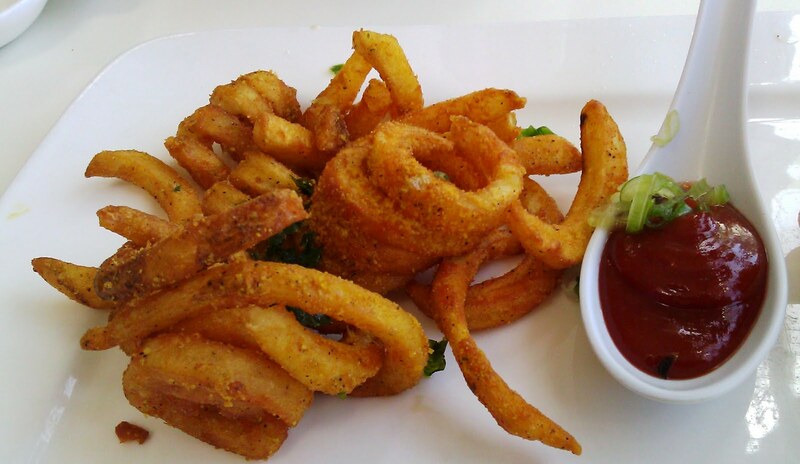 The MIRU8691 fries, on the other hand, were more subtle in that end note. I never finish my fries, but I finished all of these. 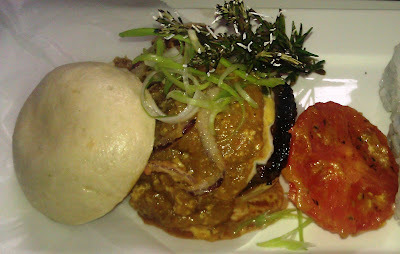 The plain cheeseburger at MIRU8691 was the Gretchen Parlato of burgers. Award-winning, smooth, breathy, passionate, precise, and absolutely wonderful--this burger was easily equal to Umami Burger's best-of-breed, umami-soaked ball of comfort and satisfaction. 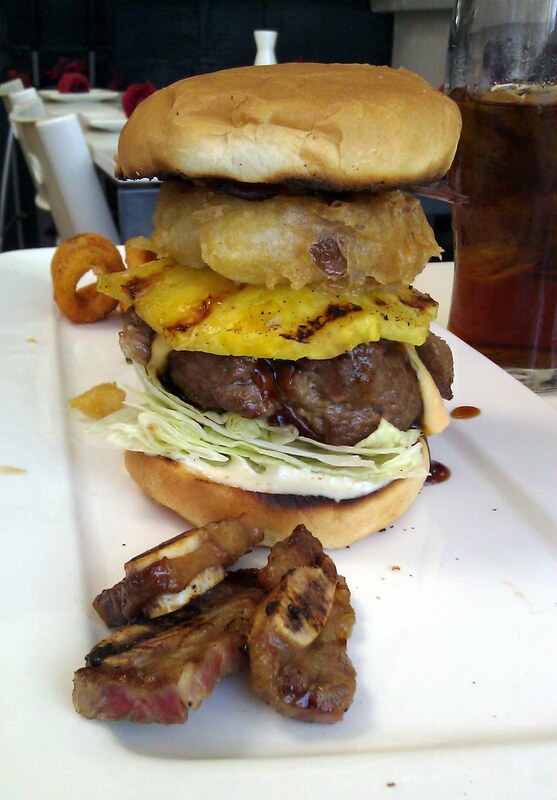 Chef Jung tricked out the cheese to load up on umami, while Umami burger tricked out the beef. The OG and Galbi burgers surpassed anything else that we have sampled. These were the Cirque du Soleil of burger-craft and must be experienced to truly appreciated. Beyond burgers, the sushi dishes that left the bar were OUTSTANDING. What Miru Jung did with hot dishes, Chef Calvin did with sushi. It was inventive and utterly delicious. 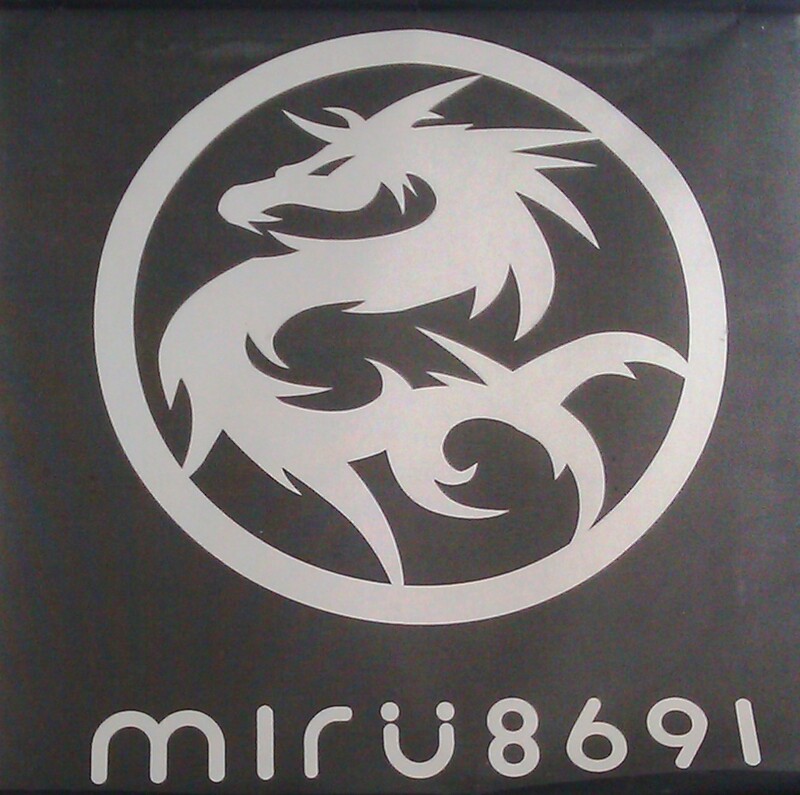 Go to MIRU8691...there is some Iron Chef-level work being done in that joint. Keep in mind that Miru Jung is still perfectly his world-class burgers, so mo' betta is probably on the way. Fat Bruce Lee is already convinced that this is the best tasting burger in America. He is probably right, but I need to go and eat my way through a pile of cheeseburgers in Las Vegas to validate the claim. Fat Bruce Lee, Chi Burger, and I paid a visit to MIRU 8691 for Chi Burger's birthday. Amazingly, the burgers were better than what we had tried on the previous visit. Chef Miru has gotten the sear down pat, and he had introduced a new, house-made bun. It was a steamed bun, which was finished in the oven to create a crust. This bun was dense, chewy, moist, and durable. Miru's burgers were so mightily topped that a resilient bun was required to hold them together. The bun has the texture of a soft pretzel, and this texture rounded out the mouth feel. This new bun was inspired by a youth spent growing up in Singapore, where stuffed steam buns were sold by street vendors. On this occasion, I sampled the new Pastrami Burger. It was almost too beautiful to eat, and once I picked it up, I could not set it down. The dauntingly tall burger required that it be forcibly compressed to taste all of the ingredients at once--it was that or unhinge my jaw. This compression created a crunchy, chewy, sweet, savory, sour, beefy, wet, sensory experience. The burger's insides coated my fingers, and I did not mind one bit. The list of ingredients was voluminous. It was composed of a Korean BBQ Beef Patty, Mozzarella Cheese, Pickled Beet, Butter Lettuce, Roasted Tomato, Miso Mustard, Crispy Onion Strips, Pastrami, Fresh Guacamole, Scallions, and more. The dish was scented with a smoldering (no, actually on fire like incense) sprig of rosemary. The wildly disparate ingredients came together in a complexly layered harmony of texture and flavor. This burger simply blew away any other cheeseburger that I have ever tried. The underlying quality of the ingredients and preparation of the fundamental meat, bun, and cheese were taken to a new level, which surpassed my ability to find a suitable metaphor. The experience of eating that burger was symphonic. The OG Burger was improved, as well. I didn't know that it could get better, but Chef Miru Jung introduced some heat to the chili, and this added a dimension to the burger, that I wouldn't want to live without having tasted it once. Fat Bruce Lee looked on jealously as Chi Burger and I made love to our burgers. Fat Bruce Lee was actually on a diet, and he stuck with the sushi. He did indicate that the sushi was some of the best that he has had. 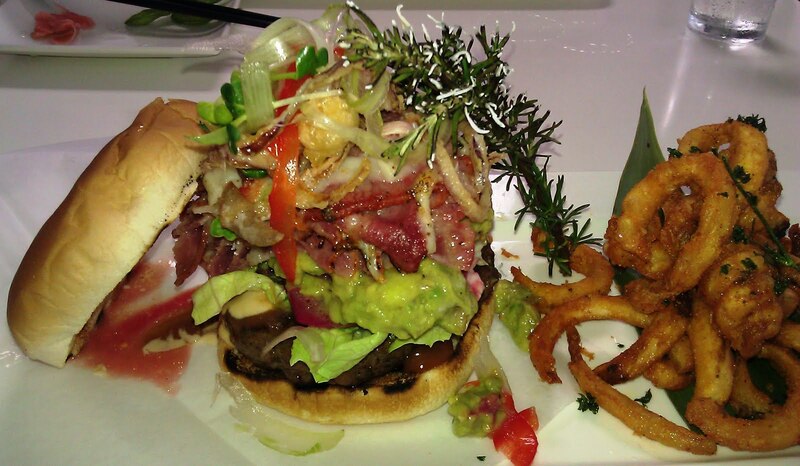 The only question I had was how far could this chef take a burger before he hit a plateau. So far, the burgers, on each successive visit, have far surpassed the earlier renditions. This was the sort of burger where I earnestly and wholeheartedly thanked the chef for feeding me something so delicious. 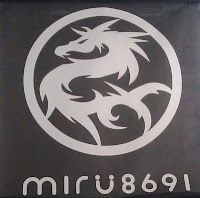 Nothing that I tried in Las Vegas even came close to what I had at MIRU 8691. After reading several of your reviews I am somewhat confused how this can be the best burger in LA. All of those burgers look impossible to eat, sloppy, poorly balanced, and overdressed. Trying to gauge a burger by pictures is not the right way to judge a burger. Go in to Miru8691 and you'll see... sorry taste what they mean about it being the best burger. Yes its messy, yesss it gets all over your face and all over the place (what does the Carls JR commercial say? ), and yes you will be left there stuffed like a thanksgiving turkey... but it is the best damn tasting burger in town, light years over Umami Burger and no competition with the Father's Office (which I despise). And if you are really concerned about it being too messy, then ask them to make it simpler, I usually get the OG Burger which isn't too messy and the Kalbi burger with just the patty and the kalbi. Like I said - go and try it!! Thanks for the rec. Tried it last night. For $10 it is indeed a killer burger. Had the CAT and Kalbi. Seriously good flavor and construction, but I still prefer something simpler and not as dressy. You are right, though. This is totally worthy to be on a Top # list. Good find, Pete.